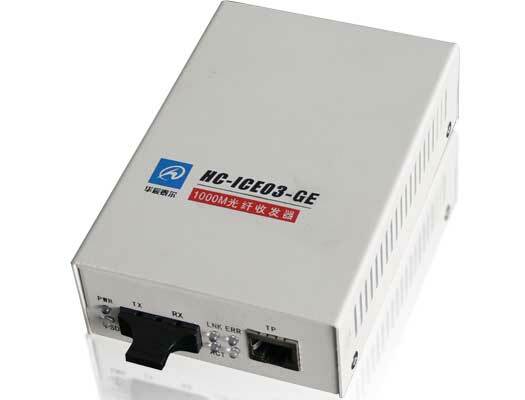 As need for distance extension HC-ICE03-GE is a Gigabit Media Converter that supports conversion from Ethernet 1000Base-T signal to 1000Base-X signal. It utilizes fiber optics resources to provide a 1000Mbps transparent Ethernet link from subscribers to carriers. With deployment of such media converter can make data and video access to be higher bandwidth and easier. HC-ICE03-GE provides both standalone and card type. Card type can be inserted HC-ICE03 chassis to work with remote standalone devices, both of these devices can be managed together by HC-ICE03 chassis through HCView.